I have developed 3 new courses and offered them to Computer Engineering students (in my previous working school): Their development has been supported by NSF CCLI grant. Significance: I created a new track in my department, called Wireless Networking. 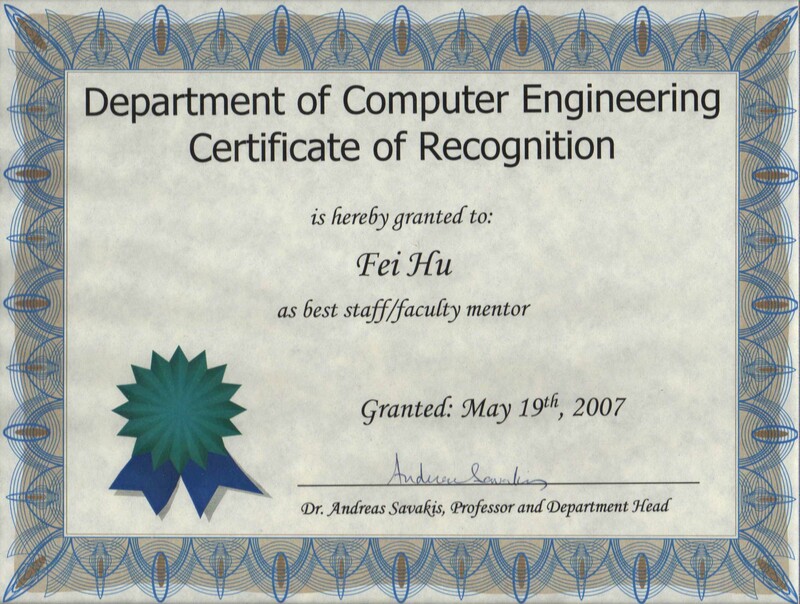 I thus developed "Wireless Networks" course in Spring quarter of 2003, and offered it to senior students / Graduate students. I have systematically explained the following important topics in class: Wireless Sensor Networks, Cellular Networks, Ad hoc Networks, Bluetooth and Wireless LAN. Significance: To help students understand the lower-layer principle of Radio Communications, I designed this course and offered in 2004 Summer. I covered the Radio propagation details (such as reflection, diffraction, etc. ), wireless modulation, CDMA, wireless encoding/decoding, and so on. Significance: Needlessly to say, homeland security is the top concern in the nation. To help students understand contemporary issues, I have designed /offered this course in 2007. The students learned applied cryptography, wireless security problems, corresponding countermeasures. Two security projects (TCP attack and Hash-based security design) further helped them to deeply understand the application of network security.